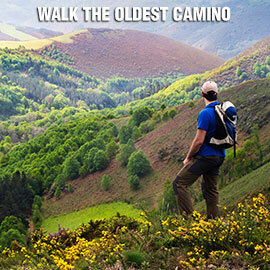 Discover the interior of Galicia by following the “Camino Primitivo” from Lugo. Take the opportunity to enjoy its amazing cuisine. 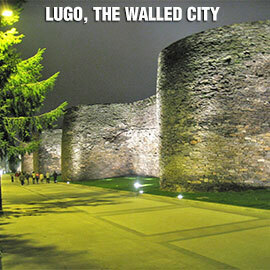 Lugo is well known for its gastronomy. In the month of October, the local "fair food" predominates because of the Festival of “San Froilán”, with the octopus “pulpo” being the typical delicacy. 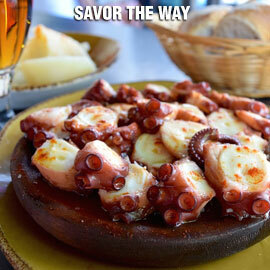 It is said that the best octopus is eaten indoors, and Melide is also a mandatory stop to try it. For lovers of good food, remember that Arzúa gives name to the denomination of origin of its famous cheeses. The end of the Camino is a good opportunity to taste the famous “Tarta de Santiago”, made of crumbled almonds. For the walkers of the Primitive Way, the passage through Lugo becomes a unique experience, very rich in the architecture and a city that is small but full of history. 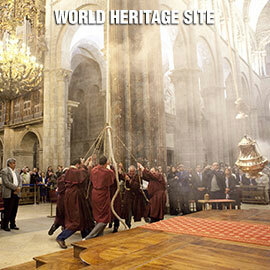 The main attraction is its Roman wall, declared a World Heritage Site by UNESCO. 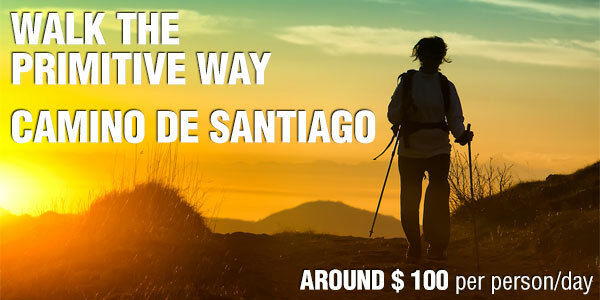 In addition to getting the Compostela - a document granted by the Cathedral of Santiago that proves that the pilgrim has made the Camino - the Primitive Way from Lugo allows you to discover the most rural landscapes of Galicia, towns and villages of great Jacobean tradition.